No one likes to think of bed bugs being in their home, but unfortunately, that’s what happens sometimes. No matter how they got in your home, whether from traveling, they were carried in on a guest, or if you moved into a new space that was already infested, you want to exterminate them as soon as possible. At Northwest K9 Bed Bug Detective, we know what methods are the most effective and how you can prevent future infestations. If you are currently struggling with bed bugs in your home, call us as soon as possible. We will bring over our best bed bug sniffing dog and our proven methods of exterminating bugs so you can soon put the experience behind you. In the meantime, here are some rules to follow to make your family a little bit more comfortable. 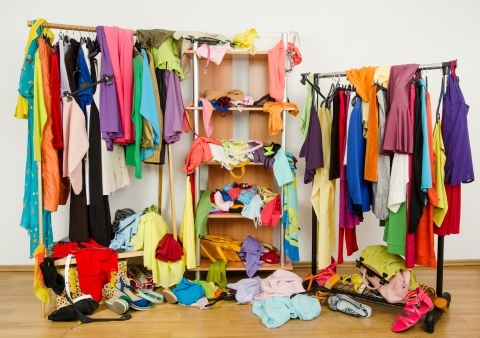 Any clothes that are on the floor, books on the coffee table, or dusty frames on the wall should be picked up and cleaned thoroughly. Clutter allows bed bugs to move around easier and they can hide in items such as books and frames. If you choose to throw anything away, be sure to keep everything in a sealed, plastic bag. Remove all bedsheets and wash the sheets and bedding in the hottest water setting on your washer. If bedding can’t be washed at home, take it to a laundromat. Vacuum mattresses and box springs, couches, chairs, and pillows; also, be sure to seal and throw away the contents that were vacuumed up. Put this in a spray bottle, spray the edges and corners of all of your beds. Isopropyl alcohol dehydrates the bed bugs, but is not a permanent solution. This method will kill bed bugs that are directly sprayed; however, the alcohol left on a surface will dry up and will not treat bed bugs. After everything has been washed, sprayed with alcohol, and dried out, put clean sheets on your bed every morning. Bed bugs do not move very quickly, so any bugs in the sheets will be killed in the wash. Be sure to roll up the sheet, rather than pulling it off to ensure the bugs aren’t shaken off onto the floor. After we come in and exterminate the bed bugs, your bed and furniture will be safe and completely usable. If you attempt to remove the bed, there is a chance that the bugs will fall off and could be left in any room in between the bedroom and front door. Save your money and go straight to the source for the most effective bed bug extermination. If you are thinking about packing up and moving to a home that is not infested, you will only infest the new space. Bed Bugs are highly adept at traveling with people and will only move with you. In addition, don’t try to move furniture, beds, or belongings from room to room. If one room is not infested, even the smallest item could transfer the bugs. If moving a favorite blanket is unavoidable, put the item in a hot dryer for half an hour. 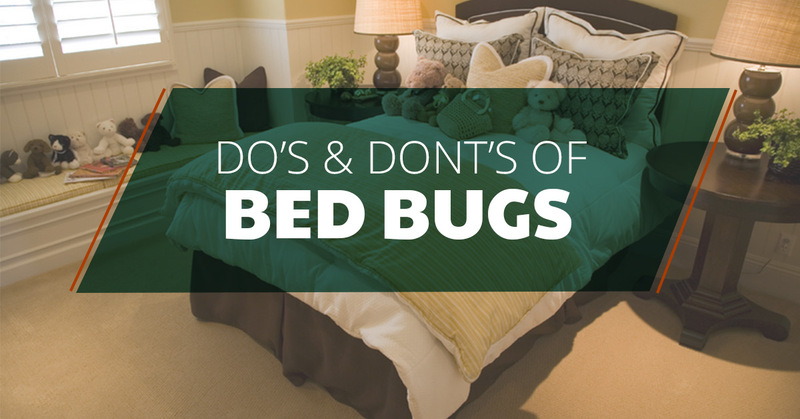 Most importantly, do not try to treat bed bugs by yourself. You may think you’re saving money, but there is a high chance that something will be missed and the problem will not go away. 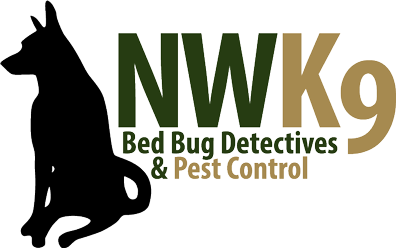 At the first sign of a bed bug infestation, contact Northwest K9 Bed Bug Detective. You can trust in us to exterminate the bed bugs 100 percent.